Shanghai is fitted with fruit and vegetable stands at seemingly every corner. 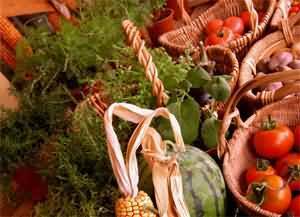 With many options, and prices varying from high to low, it is hard to know which farmers market is best to hit up. We’ve uncovered some of Shanghai’s top fresh and organic fruit and vegetable markets, so be sure to check out any or all of the recommendations below. The Avocado Lady has become something of an urban legend in recent time, but we can assure you that this amazing fresh produce vendor is the real deal. The Avocado lady who runs the stand manages to stock her kiosk with some of the fresh, tastiest and best priced vegetables and fruit in the city. Not only are avocados always a great deal here, but the shelves are always stocked up on fresh greens. Exotic herbs and fruits and western groceries can also be found here. 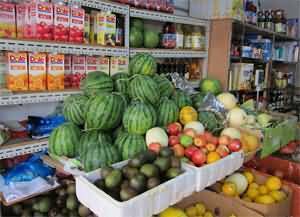 Great prices and reliable productions has made The Avocado Lady one of the most popular fresh fruit and vegetable shops in the city. Jiashan Market is more than just vegetable and fruit stands. It is an experience that can encompass an entire day. Right smack in the middle of beautifully designed apartment and restaurant buildings, the market is only open every other Saturday, so plan accordingly. Dubbing itself an Urban Garden Community, Jiashan not only features fresh produces, but also homemade jams, organic cheese, freshly baked breads and sweets and multiple organic cafes and restaurants. Only cash is accepted, and don’t forget to bring your own bag to lug all your goodies back home. If you don’t mind getting a bit out of the city to hunt for the organic fruits and vegetables, the BIO Farm is perfect for you and your vitamin needs. Located about 10 minutes from the Pudong Airport, the farm boasts a green, earth friendly growing environment. 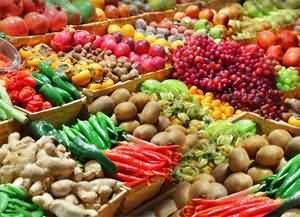 No fertilizers, pesticides or hormones is used on the productions sold here. It has been garnering attention and business from large grocery stores and many five star hotels in Shanghai for many years. The 100 acre farm specializes in organic ‘micro-vegetables’ and makes for a great trip for the whole family. If you are more into high-end organic products, cheeses, exotic fruits and tasty unique jams, then you definitely have to check out Shanghai Centre Farmers’ Market. It’s one of the few markets that is indoors, which makes it perfect on any day, no matter the weather. The market features over 100 vendors selling everything from fresh productions to chocolates, yogurts, honey and wine. Some of the rare and imported goods found here are hard to find in other parts of the city, which makes the Farmers’ Market a treat for those selective foodies in Shanghai. Shanghai Farmers’ Market is one of the biggest and best vegetable and meat markets in Shanghai, if you know where to find it. The locale is apparently a word-of-mouth kind of deal, only passed on those that are privy to the information. Start along Lianhu Lu and see if you can’t find yourself stumbling into one of the city’s best-kept secrets. Similar to warehouse wholesalers in the U.S. This farmer market relies on huge quantities to lower its overall prices. Best part of it all, if you are craving fresh fruit, veges or meat in the middle of the night, the Shanghai Farmers’ Market is open 24/7.